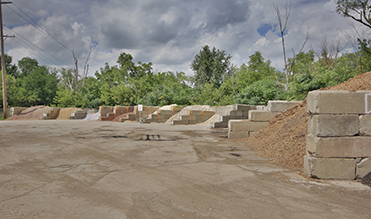 Crystal Landscape Supply provides aggregate and landscape products to Butler County, PA and surrounding communities. We source our products through backhaul truck delivery whenever possible to offer wholesale prices. We specialize in coal, decorative stone, gravel, hardscape, limestone, mulch, salt, sand and topsoil. We service residential homeowners, landscapers and the construction industry. The company offers competitive delivery rates with a variety of delivery vehicles. We deliver any quantity of material from less than 1 ton to 17 tons, and larger orders can be fulfilled by our affiliate, McClymonds Supply & Transit Co., Inc. Crystal offers the premier slinger truck aggregate delivery service in western Pennsylvania. We have four newer units with experienced drivers. The slinger trucks precisely locate the delivery point up to approximately 40’ from the truck. This service is very nifty for placing a product such as limestone behind a retaining wall or around a foundation that cannot be easily accessed. 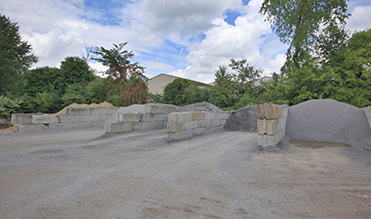 We have a convenient supply yard located in Mars, PA.
We are affiliated with West Penn Aggregates, which has similar supply yards located in Crescent Township, PA and Portersville, PA. Call our helpful staff or complete this form for delivery pricing.